Now, you can save up to 30%* on a stay at one of the Hotels of the Disneyland® Resort, for arrivals most nights Nov. 1 – Dec. 24, 2011. Disneyland Resort Offer Details:Save up to 30%* off a room-only reservation at Disney's Paradise Pier® Hotel. Save up to 25%* off a room-only reservation at the Disneyland Hotel or Disney's Grand Californian Hotel® & Spa. Booking & Travel Windows:Book this offer Oct. 16 – Dec. 10, 2011, for arrivals most nights Nov. 1 – Dec. 24, 2011. This offer is not available for travel Nov. 23-25, 2011, and travel on this offer must be completed by Dec. 25, 2011. 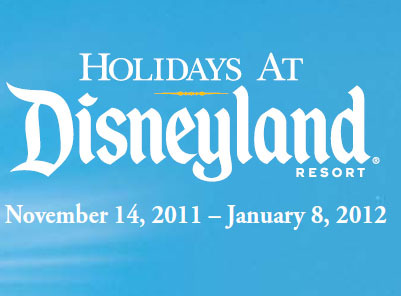 Upgrades:Add tickets or upgrade your room-only reservation to a package so you can enjoy the Theme Parks, and experience popular seasonal events like Holidays at the Disneyland Resort (Nov. 14, 2011 – Jan. 8, 2012).